The new retro-modern kitchen plus dining room is clear evidence that the homeowners love Frank Lloyd Wright’s Usonian architecture, and they love the Art Deco period. Cabinets are two different styles and two different woods for visual interest. Corian countertops were used for preparation and cleanup area, and stone was used for the table and baking preparation area. A special design feature is the see-through cabinets that were installed in front of north-facing windows to capture daylight without compromising valuable storage. 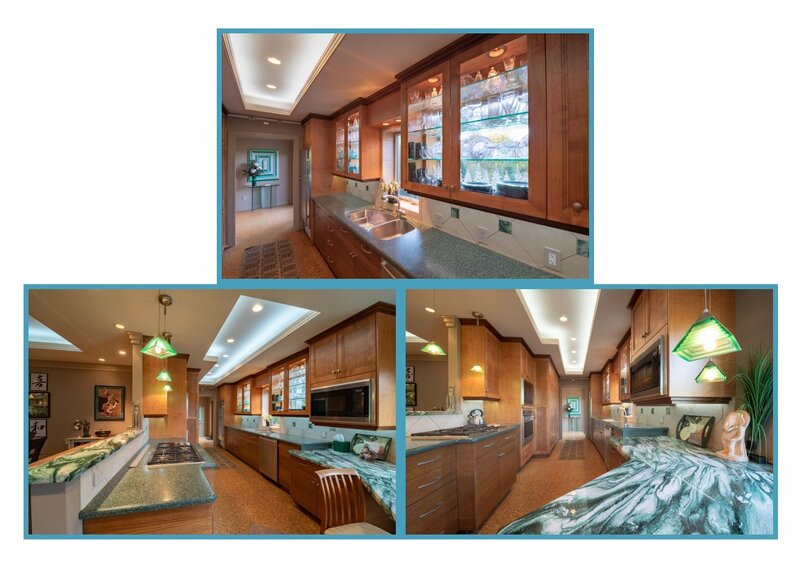 The kitchen and dining room also feature energy-efficient dimmable LED lighting. Cork flooring was installed on top of the hydronic radiant heated floor. This home won the HBA Best of the Best Award.